It's always exciting trying out new online casinos, although with so many around in today's marketplace it's becoming increasingly hard for them to stand out. mr.play aims to make its mark by offering a vast selection of slots as well as live casino games to draw in the punters! mr.play has some heavy hitters on board when it comes to software providers, and the slots on offer are from the pedigree of developers. It has titles from NetEnt, Play'N Go, Microgaming and a number of others, which means you'll find only high quality, trusted games here. Evolution Gaming is also on board, and provides the live casino elements. Unfortunately, there's no mobile app for mr.play at the time of this review. While not a major drawback, it would be good to see in the future. Despite this, the mobile version of the site is still very user friendly. With a layout that’s essentially identical to the main site, you'll have no problem finding your way around, whether you're new to Mr Play or already a member. Access to the games is just the same as on the desktop site too – you can be spinning in moments thanks to the clear layout, and access to account or support features is equally hassle free. mr.play has one advantage over other sites in terms of design, in that the team have been able to draw on all the failed and successful approaches taken by online casinos so far. As a result, mr.play is very concise. A clear white backdrop helps to highlight the colourful game thumbnails, and you're instantly presented with titles to click on and try as soon as you load the page up. The Live Casino and standard games are clearly marked with menus, so you can jump to your preferred area quickly. The fact that there are so many slots here could be a problem if you're looking for something specific. Luckily, you can sort through titles by category, which makes finding your favourite video or classic slots easy. Account management and support buttons have been cleverly placed in the top right, which is almost standard for online casinos these days – a great way to make you feel at home from the start. Slots are currently the main focus of mr.play, and there’s a huge amount to choose from. There's a solid range of classic slots and more modern video titles, as well as those ever-increasing progressive jackpots. This makes mr.play ideal for a few spins on a lunch break, or a serious gaming session going for a big win. whatever mood you're in, there's a slot here to enjoy, including classics like Myth. The only slight downside is that there's a real limit on familiar characters or franchises. Jimi Hendrix and Game of Thrones are available however, but if you're after a lot of movie tie-ins or music-themed slots, you might find the selection a bit lacking. New players receive 100 spins and up to £200 in bonuses once signed up. This is fairly standard, but what's interesting about mr.play is the long-term bonus system the site uses. This means that as you play, you gain bonus points. These points can then be traded in when you have enough, which can earn you prizes and other benefits. It's a good way of building loyalty without having any official VIP schemes etc, which can help make you feel on the same level as other players. You can access support services seven days a week, from 6am to 11pm, which is excellent compared to some competitor sites. The live chat option is generally the best bet, but Mr Play also has support staff on hand via email and telephone. In terms of payments, mr.play offers plenty of deposit and withdrawal options. Most of them are instant as well which is an added bonus. When it comes to slots, Mr Play has made a strong start for a newcomer. All too often game selections are paltry on newer sites, and it can take years for this to change. 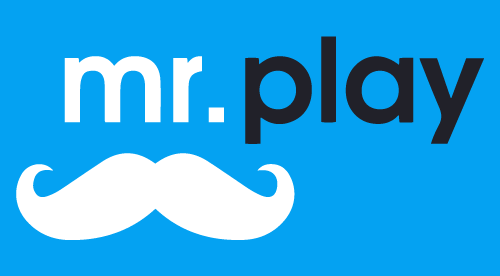 Given the massive choice on offer already for a site barely a month old, mr.play could become a major player in the coming years. The only slight issues stem from the lack of a dedicated app, and a fairly incomplete list of live casino games. Again however, this is almost certain to change for the better in the future as the site grows.